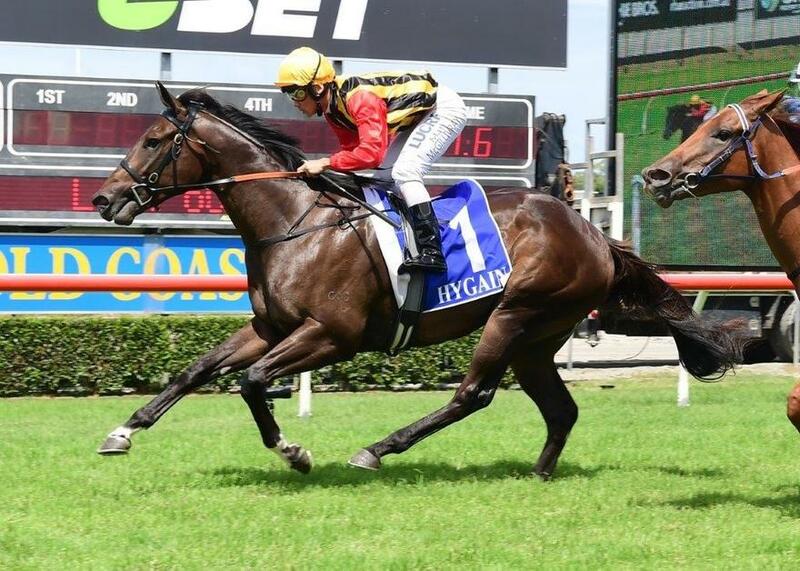 After having his first start delayed a couple times due to the weather and wet tracks Boomsara finally got his chance to show his owners what a special horse they have when he won the UBET + REWARDS QTIS Two-Years-Old Colts and Geldings Maiden Plate over the 900metres on Wednesday at the Gold Coast. 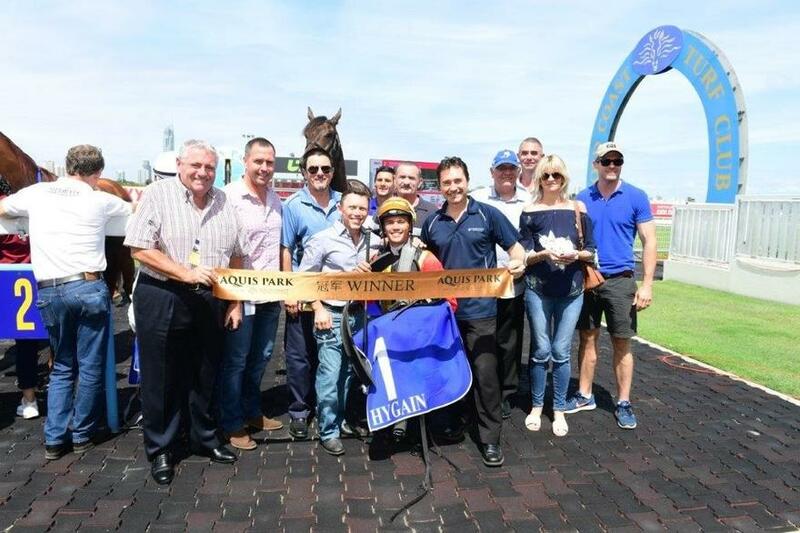 With jockey Matty McGillivray up the gelding broke about fifth from the inside barrier and quickly mustered up pace to settle in fourth position behind the three front runners of Socialeyes, Hot Gambler and Zephetto. The first 400metres was a bit of a stop start affair for him and though he did race a little greenly, under the guidance of his jockey, he seemed to cope with it and continued to moving along at a good clip. The 900meters was always going to be a helter-skelter race and as they made that tight turn into the straight the line of three opened up in front of Boomsara and he made the most of it. Over the last 150meters he knuckled down and went through the widening gap between Socialeyes and Hot Gambler to take the lead with 100meters to go holding off a late attack from Defence Missile He crossed the finish line three quarters of the length in front of Defence Missile in a time of 0:51:79 with the rest of the field four lengths further back. By Spirit of Boom (Sequalo), Boomsara is the fourth foal of Passara (Tsuimai) and was the tenth winner for his sire. Congratulations to all the owners and connections.